Hi, I’m Laura. 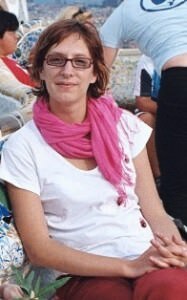 I’m a freelance tour guide, translator and interpreter for German and English. I love architecture, photography and painting and I love my home town, Bucharest, which, after 50 years of neglect and destruction, is finally coming back to life. Together with my friends, we’ll make you enjoy the people, the stories, the buildings and the food of this amazing city. I hope you’ll love it here. We have designed these tours for all those who want to venture into the heart and history of Bucharest, who enjoy wandering off the beaten path and want to be immersed in this amazing mix of western and oriental culture. How many people participate to your tours? Booking a private tour guide offers you customized and unique traveling experiences. All our tours are private, which means that you and your friends will be the only people who will participate. In our opinion, the smaller the groups the greater the interaction with the guide. This is a condition for a great experience. The standard tours usually take around 2.5 – 3 hours. If you want a custom-made full day tour, this can take as long as you want (but not longer than 6 hours). Will we ever sit down? I cannot walk too much. Would I enjoy your tour? 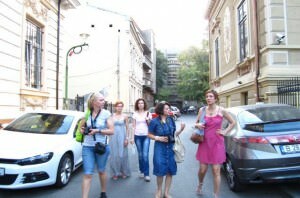 All our tours are designed as walking tours, but we could arrange for a taxi or a minibus (taxi is very cheap in Bucharest). Please let us know in advance. The kids are welcome and for those up to 12 years old, the tours are free of charge. We can adapt the tour to make it more interesting and fun for them. Does the tour include the entrance ticket to the Palace of the Parliament? No, the entrance ticket for the standard 1-hour tour inside the Palace of the Parliament costs 25 RON . You can find more details here (in Romanian).